CYMODEL Electric Retract System including wheels with aluminium hubs and CYMODEL Struts. This kit fits the CYMODEL FW190 CY8142 (240cm). The 60 - 100cc FW190 from CYMODEL. 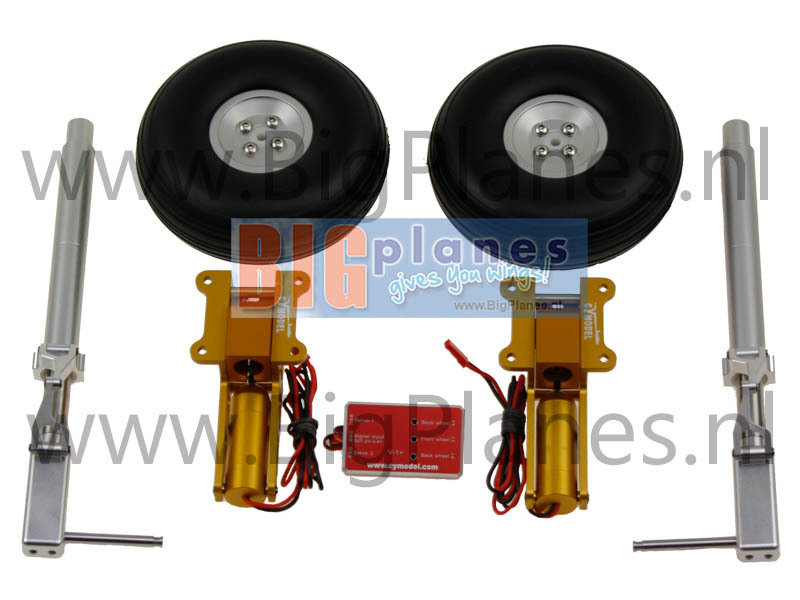 Electric retract system for the CYMODEL FW190 rc model airplane. The kits includes retract units, struts, tires with aluminum hubs.